Designed primarily for education use, the Chromebook Tablet CT100 has a rubberized chassis and is powered by an ARM-based SoC, essentially bringing together rugged design and low cost. 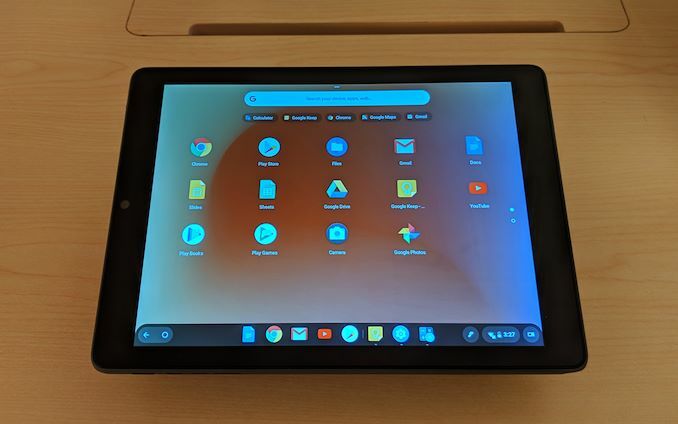 As the device can run applications developed for Android and Chrome OS, the CT100 may become a viable option for those planning to buy an inexpensive Android tablet. The ASUS Chromebook Tablet CT100 is powered by the Rockchip OP1 processor which packs two high-performance Arm Cortex-A72 cores, four energy-efficient Cortex-A53 cores, Arm Mali-T864 graphics, supports hardware decode/encode for Ultra-HD 4K video, and has a number of Chrome OS-specific optimizations brought-in by Google and designed to improve user experience. 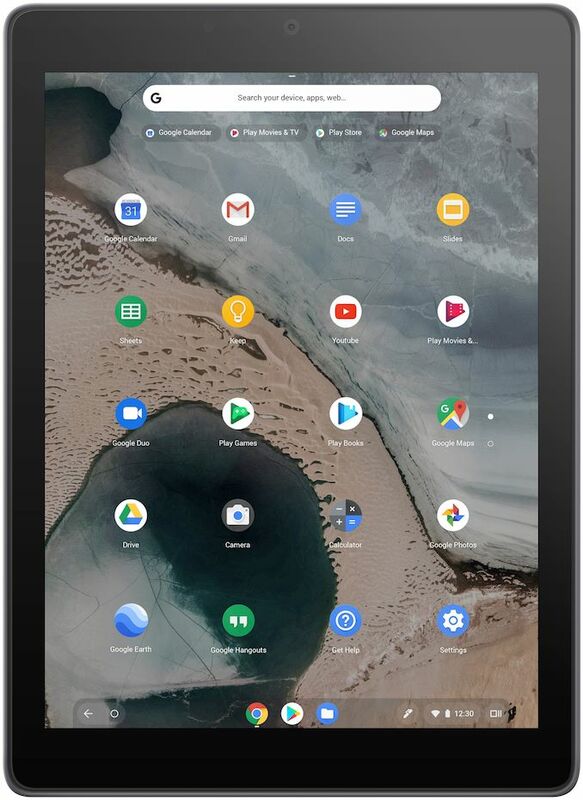 The tablet is equipped with 4 GB of LPDDR3-1866 memory and 32 GB of eMMC storage (which can be enhanced with a microSD card), which is standard for education-oriented Chrome OS-based devices. The Chromebook Tablet CT100 has a rather typical 9.7-inch touch-enabled LCD with a 2048×1536 resolution at 264 pixels per inch covered by tempered glass. Imaging capabilities of the slate include a 2 MP user-facing webcam as well as a 5 MP camera on the back. As for connectivity, the tablet features 2×2 802.11ac Wi-Fi as well as Bluetooth 4.1 controlled by the Qualcomm QCA6174 silicon. It has a USB 3.0 Type-C connector for data, charging, and display connectivity, as well as a TRRS audio jack for headsets. Battery capacity is rated as a 35 Wh lithium-polymer battery, a standard capacity for 9.7-inch tablets. Moving on to dimensions. The tablet comes in a reinforced and rubberized chassis, so it is slightly bigger and thicker (at 9.9 mm) than typical slates with a 9.7-inch display. The good thing about the CT100 is that it is rated for drops up to 1 meter, which is a typical height of tables and desks. As for mass, the tablet weighs 568 grams. 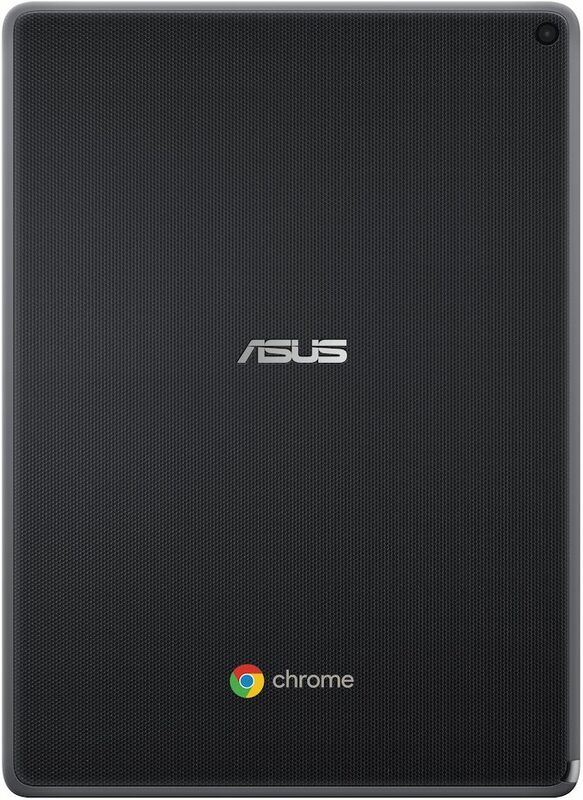 The ASUS Chromebook Tablet CT100 will be available in the coming months. While formally the CT100 is aimed at schools and other education institutions, it will most likely make its way to Amazon and other retailers. An 8" version of this would be awesome. Especially if the price is under $200 CDN. 10" is too big.